CHARLOTTE, N.C. – The American Association of State Highway and Transportation Officials (AASHTO), AAA and the U.S. Chamber of Commerce today announced that California Department of Transportation (Caltrans) and the Florida Department of Transportation (FDOT) earned the Grand Prize and the People’s Choice awards in the 2014 America’s Transportation Awards competition. A record 73 transportation projects from 36 states and the District of Columbia were nominated in the 7th annual competition. The 10 projects that received the highest number of points in four regional competitions were in the running for the top prizes announced today, at the AASHTO Annual Meeting in Charlotte. 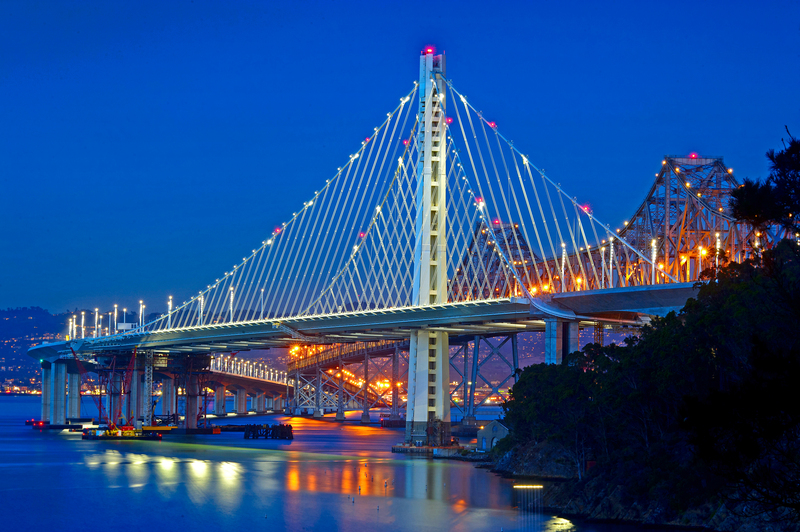 Caltrans’ San Francisco–Oakland Bay Bridge East Span project received the Grand Prize, determined by a panel of judges. The $6.3 billion project replaced a nearly 80-year-old structure with a new, modern bridge featuring advanced seismic response technology. The bridge, which was constructed to last more than 100 years, is designed to accommodate future expansions of light rail and other modes of transportation. The Grand Prize and People’s Choice award winners were presented with $10,000 cash prizes to be used to support a charity or transportation-related scholarship program of the agencies’ choosing. Next Nominate Your Projects For The 2015 America’s Transportation Awards Competition!